Experienced children & adult teacher needed that can start as soon as possible interviews will be arranged during the month of April & May. Teacher must live within a hour range of our Kashiwa school or willing to relocate. Positions 1) and 2) must have high-school degree or above, no age restriction. Applicants must speak English as their first language & be from an anglosphere nation. *Applicants with teaching experience will be preferred; however, ambitious applicants with no teaching experience are also welcome. Require teachers to like children and know how to interact with them. Teachers must also have an ability to believe in children and be happy about children's achievements and development. In ordered to be so, teachers must be able to respect children’s individuality, and must have patience to face children one by one. Require teachers to have common-sense and to be sophisticated. Teachers must be able to capture the level and needs of the students, and communicate with students friendly but with respect. Teacher with teaching experience needs to output above requirements through actual practices. Teacher with no teaching experience is required to have above characteristics and be able to gradually output through practices. The position involves teaching of four to six lessons for children in a day (50 minutes each) and about two lessons for adults a day (50 minutes). Besides the lessons, the school prepares few seasonal events each year, such as Christmas, Halloween, and one or two summer events. For all contract employees, attendances at these events are mandatory; however, the pay of the day will be counted as overtime in case of the day being a holiday. In the lessons for children, the classes are divided into twelve different levels of students based on age and ability, with maximum size up to six children. This means our teachers must teach many different classes every single week. In the lessons for adults, students are grouped by ability, but in cases of ability gap between the students, teachers must find solutions to get all the students to be involved. Above all, our teachers must be flexible and adapt to several different situations, including last-minute schedule changes. with 3 or more years of teaching experience \250,000 for 35 hours over 5 days a week. Plus a year end bonus after sighing the following year's contract. 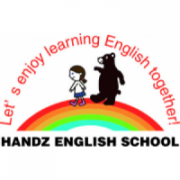 with 3 or more years of teaching experience in teaching English conversation JPY 290,000 or more for 40 hours over 5 days a week. Plus a year end bonus after sighing the following year's contract. 1) e.g. 9:00 - 15:30, 11:00 - 19:30, 13:00 - 21:00 We do not have split shifts. Teachers work a total 35 hours or 40 hours a week within above working hours of rotations.